Thanks to Sharon Murphy for decorating the display case at the library with a colorful fall background. The theme is local authors featuring Altha Murphy, Darlene Martin, and Christian Fiction author Christine Lynxwiler. Thanks to Irene White who recently donated over 20 audio book cd’s adding greatly to our current selection of audio books for patrons to check out. 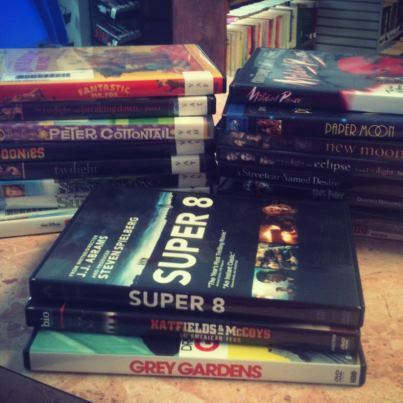 The following new releases are set to hit the library shelves this week. The four new goldfish donated by the Hurt family are enjoying their new home at the library. Stop by and say hello to Harry, Ron, Hermione, and Voldemort (aka He Who Must Not be Named).